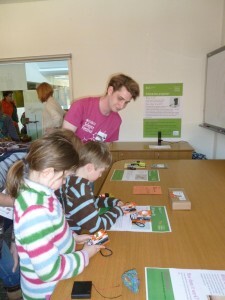 i-Teams at the Science Festival – Novel ideas for new inventions! 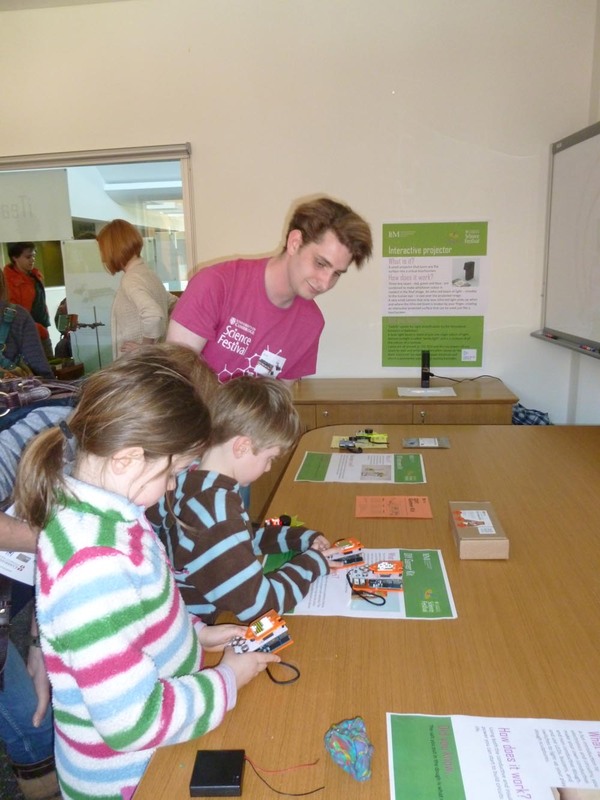 You are here: Home / News / i-Teams at the Science Festival – Novel ideas for new inventions! 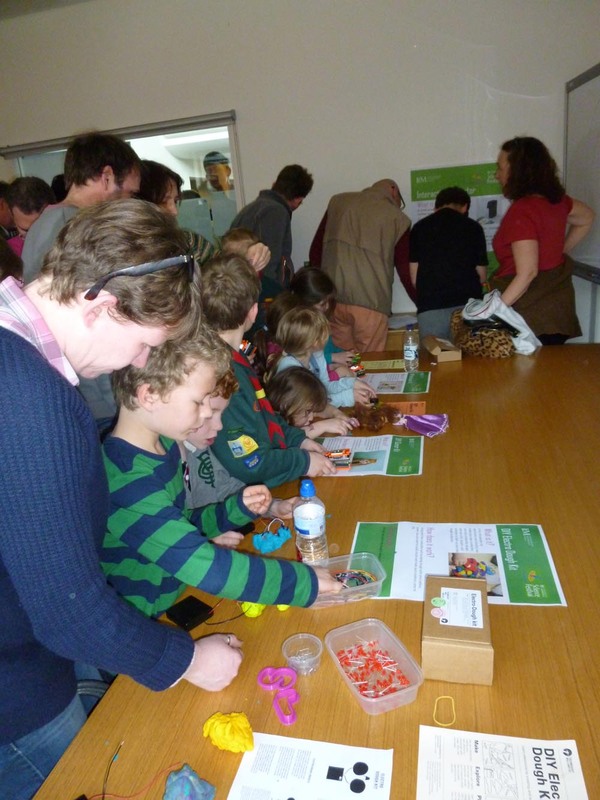 Using moss to power fairy lights and allowing pigs to reach their food through a catflap were some of the bright ideas to use scientific inventions in the What would you use THAT for? competition. The competition was run at the Institute for Manufacturing during the Cambridge Science Festival as part of the i-Teams demonstration of recent and future products based on real scientific inventions. Entrants were asked to submit ideas for how these might be used in real life. Demonstrations included a super-accurate timer from Qumet Technologies and novel laser inks from Illumink, both of which are start-ups from the Royal Academy of Engineering’s Enterprise Fellowship scheme. 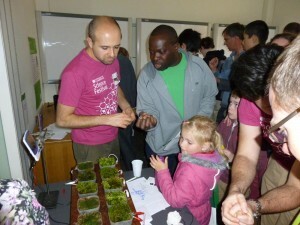 Other demonstrations included Moss FM – a new technology which is under development for generating electricity from moss, and powering products such as digital clocks and radios. Also on display were the Light Blue Optics interactive projector which turns any surface into a touchscreen, and the widely-available SureFlap catflap which identifies cats from their microchip ID tags. Grace Hartley, age 13, from Bottisham Village College, would use Illumink plastic sheets to prevent birds from flying into glass windows. Oliver Wilkinson wanted to use the Light Blue Optics projector as a restaurant menu so it would not need reprinting when the menu changed. The winners will receive prizes from two other demonstrators at the event – CodeKingdoms develops computer games that teach children how to write software code while they play, and TechnologyWillSaveUs produces electronics kits to allow children build gadgets ranging from games machines to working speakers and electronic music makers. It also provides Electro-Dough kits which uses conductive play dough to teach children about electric circuits. Winners and runners-up will receive a special certificate of their award-winning idea. Amy thanked all the companies who kindly provided demonstrations for the event. 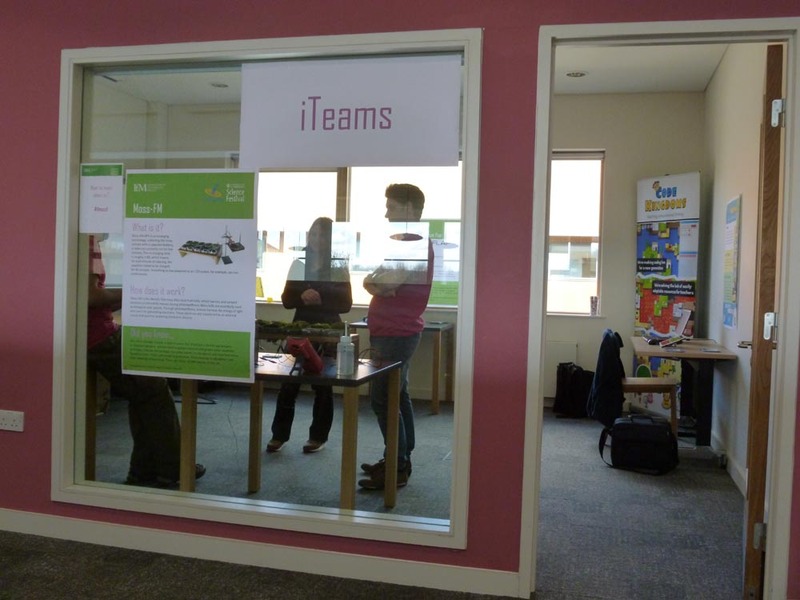 Cambridge Network, April 3rd 2014 – i-Teams at the Science Festival – novel ideas for new inventions!